This post is inspired by Lifehacker’s This Is How I Work Series referenced by tireless sales blogger Anthony Iannarino’s post in which he reveals his work habits and tools for productivity. In the series, Lifehacker shares the daily routines, gadgets and workplaces of heroes, experts and highly productive people. I’ve been meaning to do something similar after it occurred to me that my daily “how I work” tools and habits have changed drastically over the last five years. Whether driven by new technology, mobile devices or work style, it’s an amazing exercise to list the tools I that are indispensable today. Below are the questions in the Lifehacker series, but I took the liberty to add more detail. MacBook Pro 13″, configured to run bootcamp with Windows 7. I love the Mac hardware, but need a couple of applications that are better suited for Windows are aren’t available on Mac OS. I work extensively in the technology sector and find it valuable to be conversant in alternative products. For day to day productivity I’ve been using the paid ($5 per month) version of Evernote, which is synchronized on all my devices and environments. 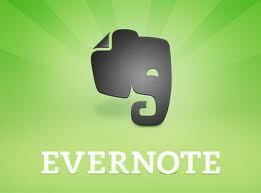 Evernote basically replaces the standard paper notebook and other day to day organizational tools. I also have integrated Penultimate with Evernote so I can capture written notes on my iPad and then categorize them in Evernote. Dropbox is my virtual drive and client and project sharing solution. Like many new applications, it is supported on all my mobile devices along with the desktop. It also acts as my virtual backup in case I need to rebuild my files. 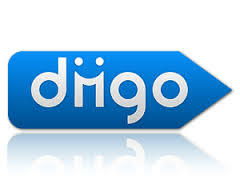 I use Diigo for instant bookmarking, categorizing and posting web content. Diigo has a Google Chrome plugin, so when I’m reading an interesting post, I can save it with tags, annotate and highlight text, and add to a list. You can also set up groups so my partners or clients can contribute interesting curated data. Hootsuite is a tool for social monitoring, content publishing and scheduling to LinkedIn, Twitter, Google+ pages. Hootsuite has a browser plugin, so you can quickly grab a post while browsing and schedule it to social profiles. You can customize social dashboards to monitor all accounts and activity in one place – a huge time saver. 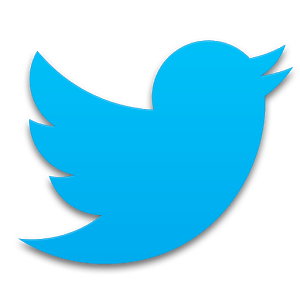 Twitter is more than a social platform to distribute my content. I mostly use Twitter for research and content curation. As an example, I’ve created Twitter lists to filter tweets by category, subject matter or location. I’ve got a sales 2.0 list, “rock stars entrepreneurs” list and for after hours I can follow more than a dozen writers that follow the Green Bay Packers. Office applications: Microsoft Office and Google Apps. eMail: Microsoft Exchange and Gmail. CRM/Demand Generation: Salesforce.com, Infusionsoft and Vertical Response. Voice/Phone: iPhone, Skype and Grasshopper. Online Meetings: Skype, Google Hangouts, GoToMeeting and Join.me. Presentations: Powerpoint, Keynote and SnagIt. My primary workplace (other than client sites) is my home office, which I designed to maximize productivity and comfort. 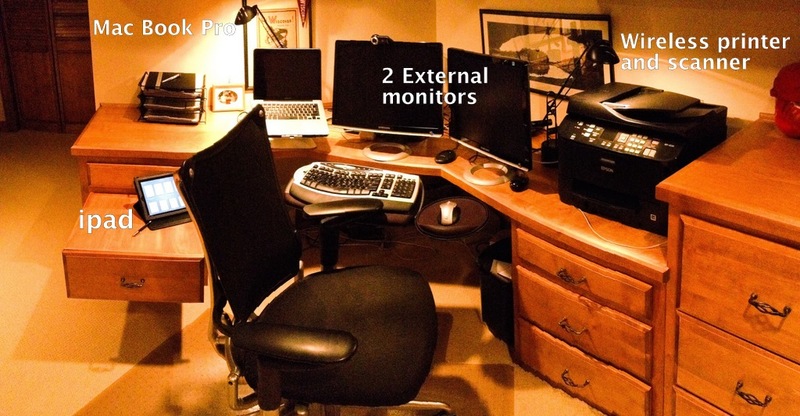 Over the years, I was introduced to ergonomic workspace products that I can’t live without. I spend long hours at work, and so its essential to be comfortable. I use two 21″ external monitors connected to a my MacBook Pro. I was introduced to this setup by my former business partners who were software product engineers. The advantage is that you can set up multiple apps on different workspaces and avoid resizing windows or opening and closing. I need to multi-task. Once you’ve tried this, you won’t go back. Today you can get fantastic high resolution monitors at a reasonable price to get this setup. I recently purchased an Epson scan/fax/print/copy device which makes it easy to keep my goal of being as paperless as possible. For documents that are sent to me or require a signature, I can quickly scan them and store them in Evernote or in a Dropbox folder – wirelessly. 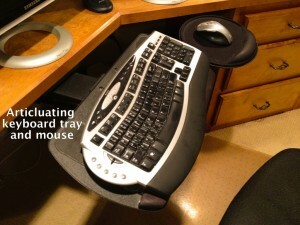 Another former engineer and inventor introduced me to the HON Samba articulating keyboard and mouse tray, which he outfitted for his product development team. Fortunately, I have a brother in law who works at HON and he provided a “family” discount of $165. You can buy it used for around $225, it lists for $430. 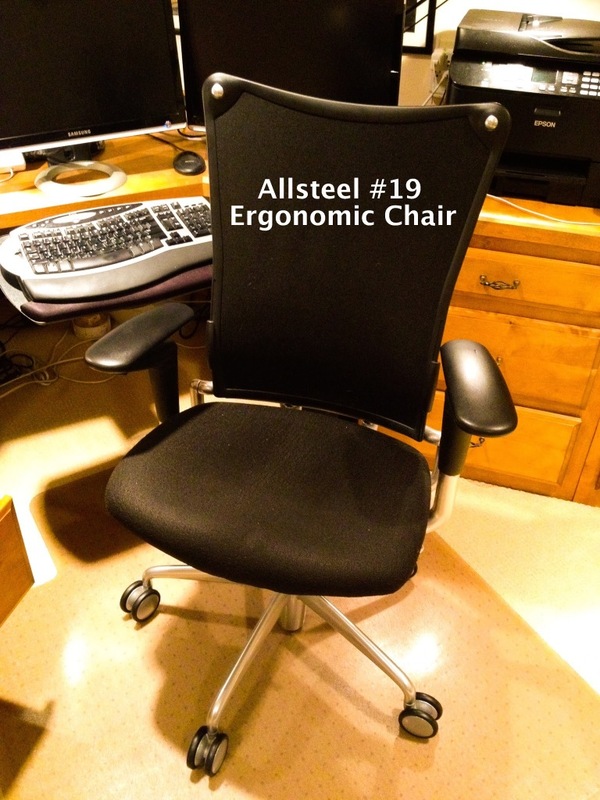 My office chair is the Allsteel #19, which is marketed by HON. Again thanks to my brother in law, I got this for around $650, but it lists for $1,300 plus. You can find them used, but they’re harder to find because their owners don’t give them up. An alternative is the Aeron chair, popular during the dotcom bubble. These are easier to find on the used marketplace in the $400 range. I highly recommend a great chair if you spend long periods of time at your desk. What’s your best time-saving shortcut/life hack? What everyday thing are you better than everyone else? Scaling and process. Whether its thinking about growing a business, a consulting project or sales process, I am typically thinking about how to scale it and make it repeatable so it can be leveraged. I’m usually thinking about these things well before others. I also like to learn new ways of doing things, whether its a productivity tool or new skill. This requires you stick with it early when you are actually less productive while coming up to speed. Most people give up. What’s your favorite to-do list manager? I don’t use a specific to do list manager app for my tasks. When needing to create to-do lists I create it in Evernote which then can replicate it to all my devices where I can access it on the go. For managing tasks in collaborative projects, I am comfortable using what my clients or peers use. I personally prefer Basecamp for managing tasks, discussions and timelines. If Basecamp is not an option, I’ve used Google’s Sheet’s (spreadsheet). I’ve found that most people do not use a project management system, but can easily get up to speed on a spreadsheet based project management system. I usually do not listen to music during work so I can be completely focused. Off hours, when working on non-strategic tasks, I’ve got a low-key (don’t ask) Pandora channel in the background. What’s your current favorite read? A while ago I read “Freakonomics: A Rouge Economist Explores the Hidden Side of Everything” and since then I’ve applied its principles to many situations. The basic theme of the book is that with lots of data you can make an interesting case to prove your point. Most of the chapters involving human behavior are centered on the fact that humans will do act in ways they are incented to – even if that means taking a dark path. If the wrong incentive is place it leads to misaligned behavior whether you are a teacher, a real estate broker or a Sumo wrestler. I usually go to bed at 11:30. In the later part of the evening, I enjoy getting caught up on my reading both professional and personal. Up at 6:30 during the week, a little later on the weekend. I’d love to see _______ answer these same questions? I’m not a superstitious person. But I love Chinese food and usually read my fortune cookie. 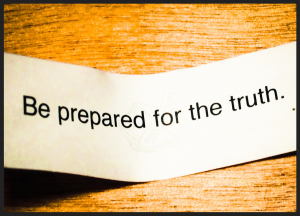 One time mine read, “Be prepared for the truth.” I thought that was great advice that could be applied to life and business situations. 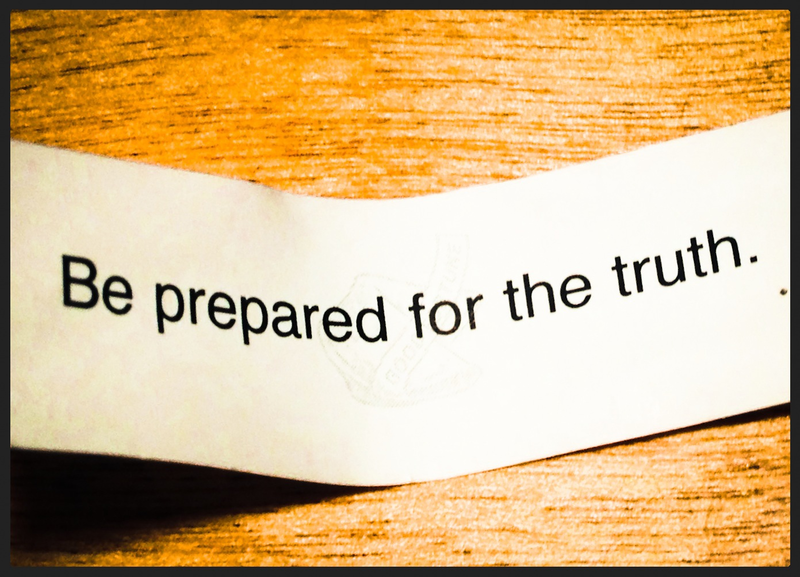 It also implies that you should have a plan if the truth is not lining up with your desired outcome. Your email is never shared with anyone. We provide news and blog updates to email subscribers. Outbound Sales is Dead, Right?